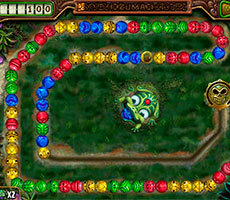 A playing field with a coin in the center arises before the player. 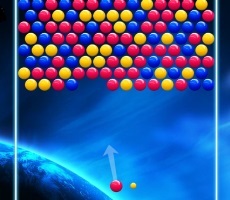 Color bubbles are fixed to it that you have to remove. 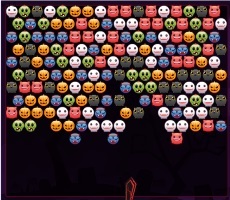 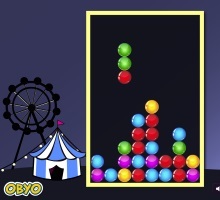 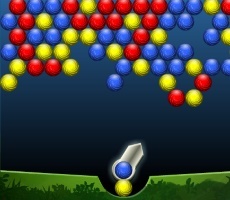 At the top there is an arrow that shoots bubbles every time a different color. 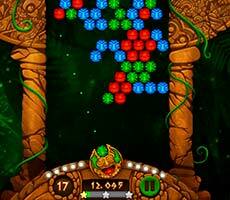 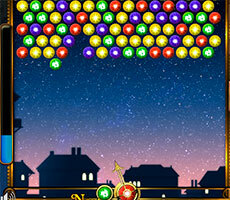 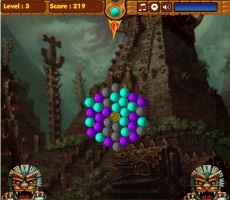 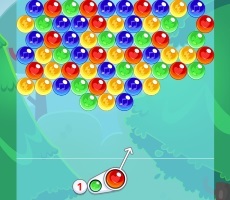 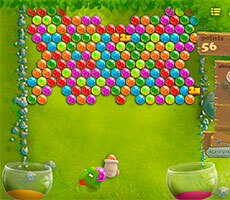 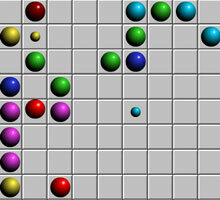 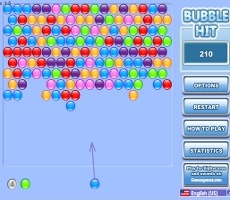 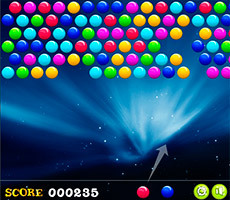 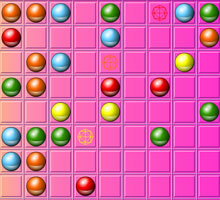 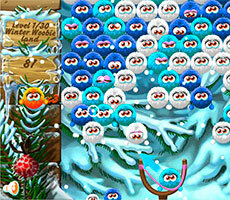 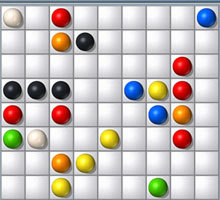 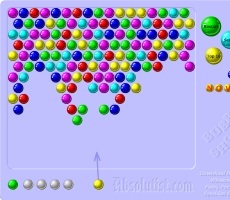 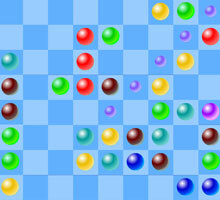 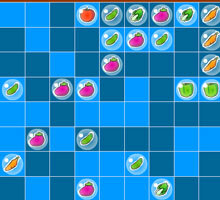 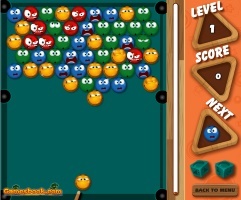 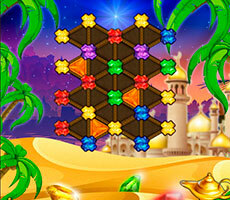 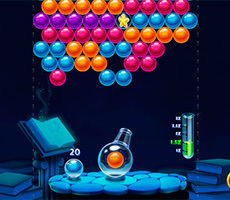 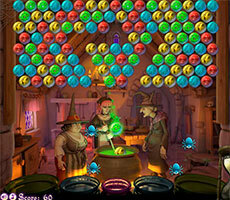 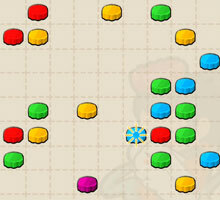 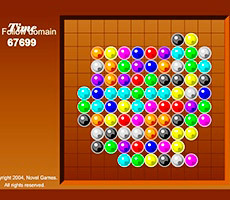 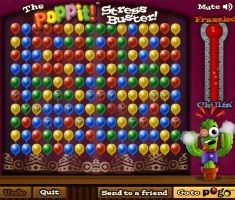 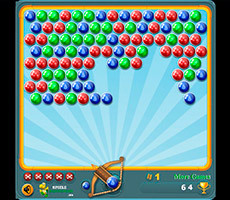 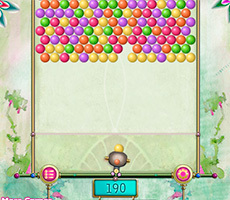 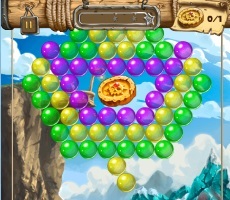 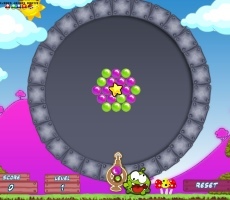 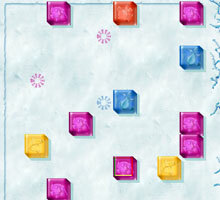 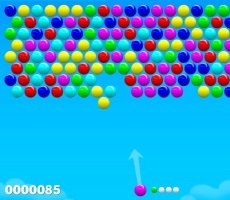 The player's task is to aim the line consisting of three or more same-colored bubbles suitable for shade. 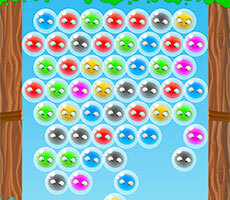 In other words, a line of green bubbles must be shooted by green bubble, then the bubbles will disappear. 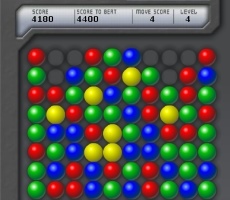 The more balls you manage to shoot at once, the more points you get. 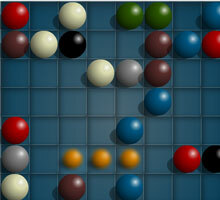 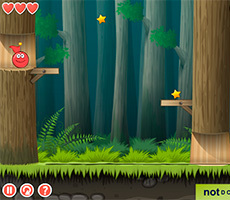 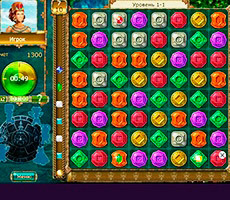 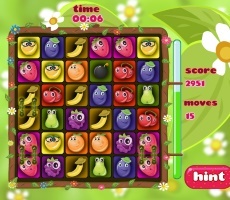 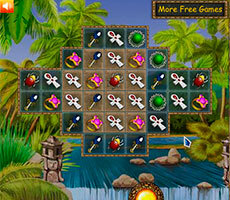 Practice, invent your own strategies and you will easy solve puzzles games «Marlbes Myth»!